Welcome to Silver Street Glass, LLC ! 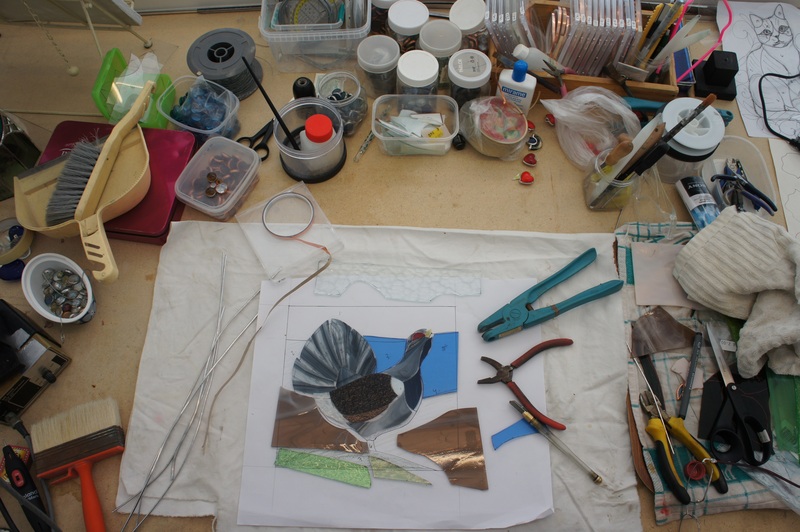 Spring season in the hot shop has started and continues through Mother’s Day in May. Call Annukka (860)921-1486 or email silverstreetglass@gmail.com to schedule blow your own ornament or pumpkin, and flower or paperweight classes. Bead making and stained glass classes are available as well and scheduled as you wish. Our on site Gallery is open by appointment or chance. Mark and Annukka have both their glass art displayed in Granby Main Library for the month of March. We will have our SPRING SALE and Open Studio weekend at May 4-5, Saturday and Sunday 10 am – 4 pm. This Spring and Summer we participate in several shows, check out our events klick! 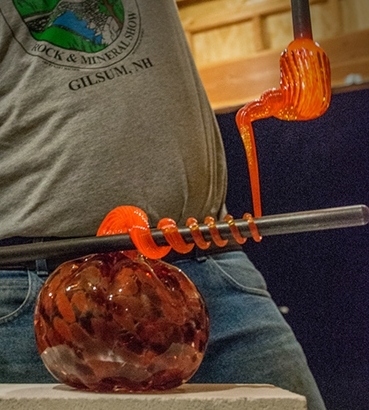 We offer two different kinds of glass blowing, traditional glass blowing and flame-working. 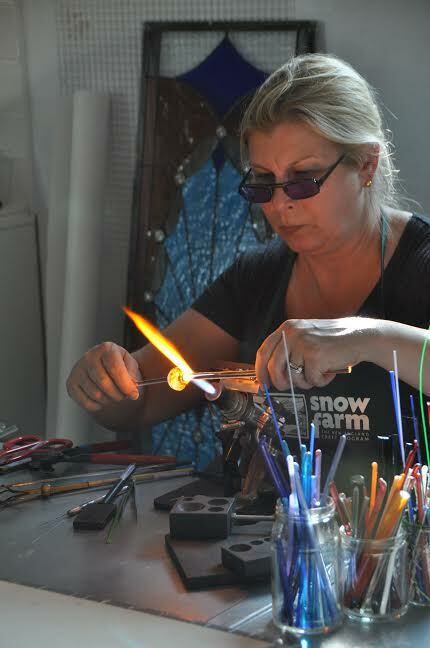 In flame-working, also known as lamp-working, on the torch we use different glass types and methods. 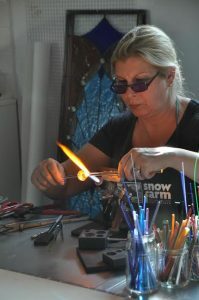 Glass blowing using borosilicate glass rods and -tubing to make perfume bottles, small paperweights, beads, sculpture. Glass blowing in Hot Shop where we use melt glass from furnace to make paperweights, ornaments, pumpkins, vases, drinking glasses etc. Visit our gallery/ gift shop. you name it, we make it possible. by appointment and during special events. Studio is open by appointment and during events.